Larger Project 6-9, Master Bedroom » Roger Perron Inc. The master bedroom has a floating closet, situated down from the ceiling, which provides an open feeling. The closet partly houses the TV. Black glass was used to blend the TV, and for ornamentation there is a beveled mirror above. 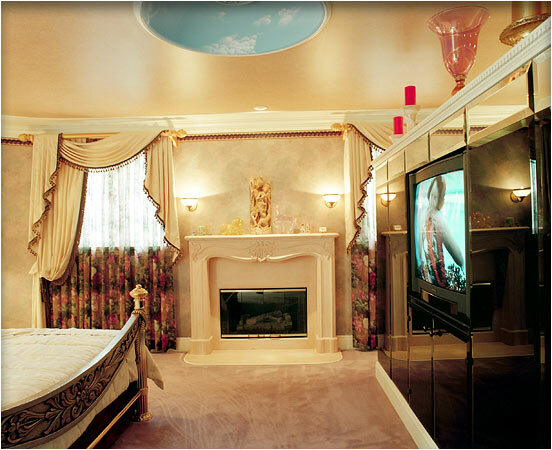 Various moldings and wallpaper create a special exotic look and feel. There is also a hand-painted dome in the ceiling of this addition-remodel.